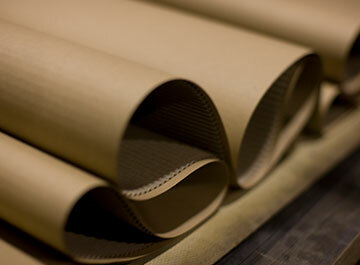 Jardin Corrugated has a philosophy of providing excellent customer service. Enabled by giving our customers exactly what they want through innovative designs, short lead-times and most importantly, on-time delivery. We work with our customers to find creative packaging solutions – experience across a variety of markets and sectors enables us to do this with professionalism and expertise. Furthermore, our own corrugator gives us greater flexibility to manufacture board within tight deadlines and offer quality and service for our customers. Fully considered design can have an impact on many elements of a business including reduction in packing times, assembly times and returns due to product damage whilst also offering stability and strong visual impact in line with your brand guidelines. Our expertise in this area means we work with you to create effective structural designs which support your requirements perfectly and deliver a measurable packaging solution. Combined with our graphic design capabilities for artwork you can be assured that your packaging will be fit for purpose and aesthetically appealing. Jardin Corrugated has exceptional print capabilities which represent your brand and product with high quality print and graphics. 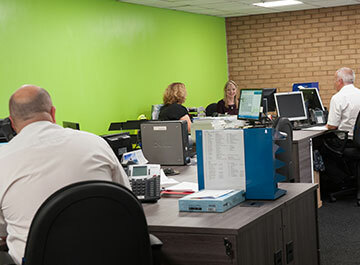 Whether you are looking for a simple one colour print or a detailed brand message, our team will work with you to provide a print solution to meet your budget, specification and help your products stand out from the crowd. 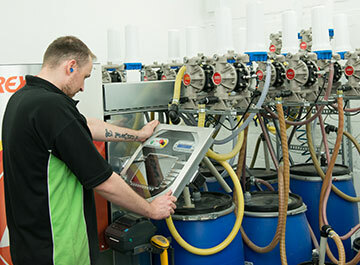 Our innovative designs and are complimented by an onsite ink kitchen which enables us to mix inks to your exact Pantone colour and guarantee a consistent colour match for every print run. Jardin Corrugated is a highly experienced and skilled business offering a plethora of print, die cut, stitching and gluing capabilities to support your packaging requirements. Our corrugator is capable of producing single wall (B, C and E) and double wall (BC and BE) and we are able to make board from a wide variety of papers including PE and PET laminated speciality papers. All stages of the conversion process are undertaken in house and we manage all aspects of your packaging requirements from our Cambridge site enabling us to offer a personal, prompt service delivering high quantity and high quality solutions. 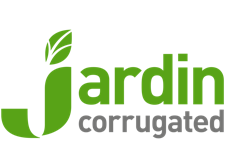 Jardin Corrugated is fully accredited to ISO 9001, FSC Certified and BRC Accredited.